We are an extension of Mother Earth who nurtures and gives us life. This bracelet channels and draws the pure magma “fire power” from Gaia’s core to purify, focus and rejuvenate our entire being. 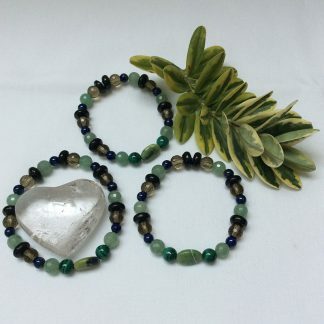 This energised bracelet is empowering to Gaia for this reason, and us also, at this time of deep shift and change as the earth transforms and ascends into the fifth dimension. 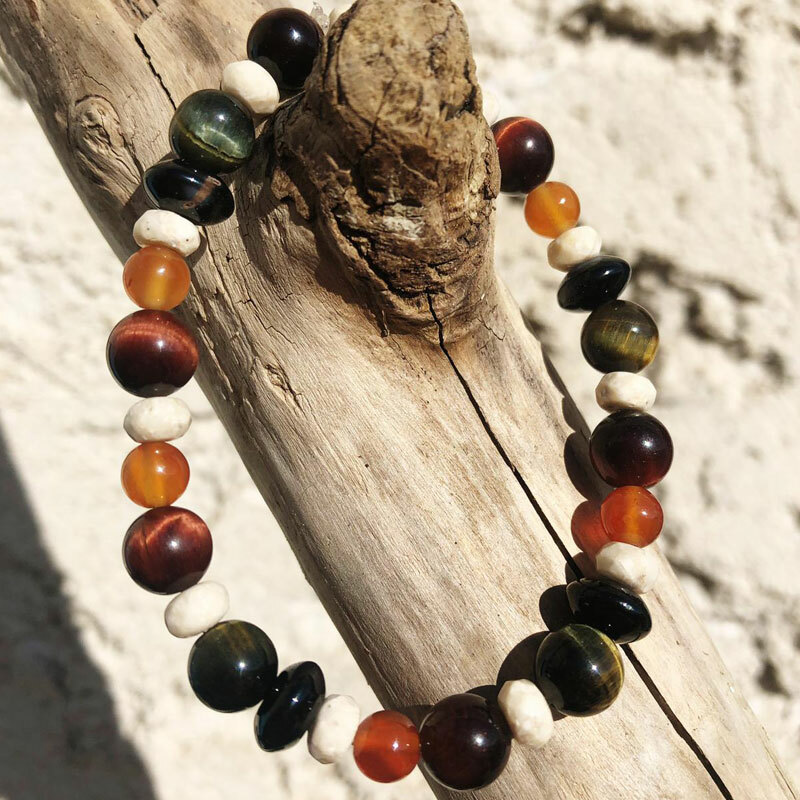 The combination of River Stone, Carnelian, Tiger Eye, Yellow Fire Agate and Black Agate draws this core fire energy and integrates it in a new and exciting way. When you need aligning to a new force of passion, energy, love, excitement, strength and empowerment – Gaia’s Fire will attune you to this vibration. Grounds and anchors you in the present reality. A stabilising stone with high energy. It is excellent for restoring vitality and motivation and for stimulating creativity. It has the ability to cleanse other stones. It gives courage, promotes positive life choices, dispels apathy and motivates for success in business and other matters. It helps overcome abuse of any kind. It overcomes negative conditioning. This stone relieves pressure and stress when you feel you have too much responsibility. It rejuvenates your body and releases tension. Combines the Earth energy with the energies of the Sun to create a high vibrational state. A very protective stone. 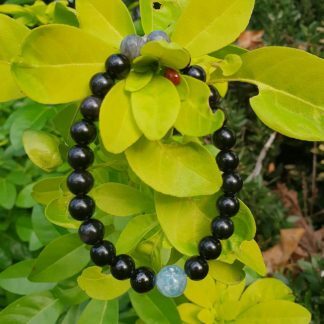 Has a deep connection to the earth and its energy is calming, bringing security and safety. 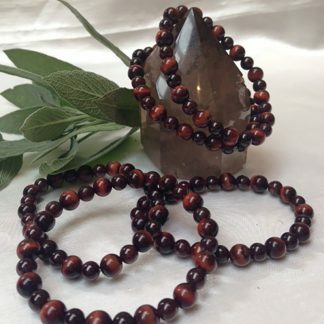 It fires up the base chakras and stimulates vitality and energy on all levels. It brings a passionate and joyful energy, inspiring great courage within us and an urge to follow our bliss. Harmonises yin and yang within the body; this stone builds self-confidence, offers protection to the aura, offering great strength of purpose. It offers the courage to start again when all hope seems lost. A very positive stone to wear.